CAPAA, the Cultural Au Pair Association of Australia, has sought legal advice on the nature of a relationship between an au pair, a placement agency and a host family, and whether it forms an employment relationship. Each au pair relationship is unique. The following table will assist families in forming an opinion about their own personal circumstances. The table shows the differences between an employment relationship and an au pair relationship in a comparison table. The legal opinion on the au pair program, means it is now much easier for a host family to ensure they protect their placement as a Cultural Exchange experience. 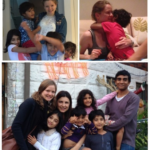 Family evolved from hosting exchange students to au pairs, so many similarities! Mum says: we would not be able to have full time jobs and 2 kids if it wasn’t for the amazing support we have received from our lovely au pairs over the years. If you do not have relatives nearby to help, you have to bring in extra family member to help with care. For many people, an au pair and a live-in nanny amount to the same thing and they use the terms interchangeably. However, there are differences between the two and if you’re considering hiring someone to care for your children, you may find the following discussion very useful. 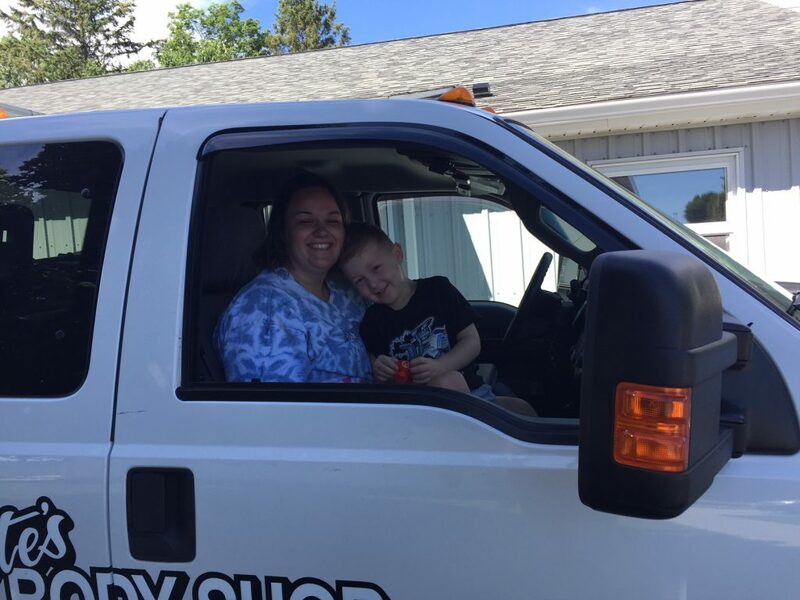 A nanny (or as the male version is referred to, a manny) describes any individual—whether professionally trained or not—who cares for children in their own home. An au pair is typically a young person who comes from overseas to live with an Australian family for a cross-cultural experience. They aren’t generally trained as professional nannies or childcare workers but rather come to Australia as domestic assistants with the aim of improving their English and discovering more about the culture and the country. Most of them come from a wide variety of foreign countries and require a visa – with the exception of New Zealanders who are allowed to live and work in Australia lawfully. An au pair is provided with accommodation and meals and paid pocket money for looking after the children and doing some light domestic tasks. Let’s look in more detail at some of the things that an au pair does. Their primary responsibility is taking care of the children – but having said that, an au pair shouldn’t be put in sole charge of babies under a year old unless they have the appropriate training and experience. Obviously as time goes on and their confidence improves and the family’s confidence in them strengthens, they can be given greater independence in terms of their childcare responsibilities. Their daily tasks could be anything from waking children in the morning and helping them get ready for school or day care. They may prepare meals, drive children around, do light housework like laundry or vacuuming, take children to extramural activities, play dates and outings, supervise homework and play activities, bath them and get them ready for bed – but they do need to be given time off during the day to study, take time out or pursue their own interests. An au pair is part of the family. After all, they live with you. And they’re entrusted with caring for your children. That’s why it’s so crucially important to make the right choice of au pair. Which brings us to another question – how do you go about finding an au pair? To find the right host family or au pair in Australia, you need to search in the right places. Websites. Facebook. Gumtree. Backpacker job sites. Employment marketplaces. There are many different resources which bring aspirant au pairs and host families together but finding the perfect fit isn’t as easy as it sounds. Your au pair will be living in your home and caring for your children. It’s a deeply personal relationship and finding one whose personality suits your family’s dynamic and who shares your parenting approach can be quite a challenge – especially when there are so many different places to look. The phrase ‘au pair’ comes from French and literally means ‘on equal terms’. Whilst it’s now commonly used as a noun, its original meaning goes to the heart of why making the right choice of au pair is so crucial. They’re part of the family and in many ways, they’re sharing the parenting. Going through a professional au pair agency like Smart Au Pairs can save an enormous amount of time and hassle because they have the experience and the resources to find the best match possible for both the host family and the au pair. 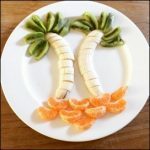 Whether you’re looking for au pairs in Sydney, Melbourne or Brisbane – or anywhere in Australia for that matter – Smart Au Pairs is a trusted au pair agency with a reputation for gold standard screening and professional support. If you are considering hiring an au pair or are interested in learning more about becoming one, visit their website, www.smartaupairs.com.au or call their friendly team on 02 9451 3888. What have swooping magpies got to do with au pairs? Magpies get a bad rap for being dangerous menaces during their breeding season, but aren’t they just protecting their young? It’s a natural instinct for these birds, just as it is deeply instinctive for us humans. When we have children, we do everything we can to protect them. We take every possible precaution, anticipate risk and put things in place to avoid or at least, lessen any possible hazards. Which brings us to the subject of au pairs. An au pair is a young person, generally a foreigner, who comes into the lives of a family for up to a year, shares their home, eats meals with them and is also given the responsibility of looking after the children. But like the humble magpie, parents are fiercely protective of their young. So why trust a complete stranger to look after their precious family? Doesn’t that go against our natural instincts? Here’s the thing. If you use an au pair agency, the person who comes into your home and your family’s life isn’t actually a stranger. The person is carefully screened and chosen so that their qualities and character match those of your family. The agency gets to know the au pairs very well before making any recommendations to the family and they get to know your family beforehand too, so that there’s a personal touch and the best matches are put forward. And when the right person is chosen as an au pair, the benefits to the family are enormous. Many of them establish very close bonds with the family, becoming a big ‘sister’ or ‘brother’ to the younger members and playing a vital role in helping parents maintain a balanced, organised and well-run home. When you go through an au pair agency, you have total peace-of-mind that everything will be done by the book. And that applies to both the applicant and the host family. They follow thorough screening processes and procedures. They do medical and police checks. They have an extensive database and a global network to source the most suitable candidates. They offer a comprehensive support and mediation service. They know how important it is for families to get someone who fits their family dynamic and who shares their parenting approach. They also provide the appropriate resources like step-by-step guides, au pair invitations and handbooks to help parents with the interview process and to help au pairs assimilate into their new community. Of course, it is possible to find an au pair without going through an agency. 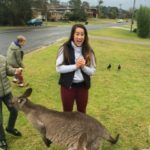 Places like Gumtree, Facebook and newspapers are full of posts from young people looking to au pair in Australia and discover our unique lifestyle and culture. But that process may not always be hassle-free. Or stress-free. Or even risk-free. Hiring an au pair is an affordable and viable solution for many Australian parents and demand is increasing all the time. Wherever you live, whether you need au pairs in Sydney, Melbourne or Brisbane, using a reputable, registered and award-winning au pair agency like Smart Au Pairs could be the best thing you can do for your family. Don’t leave anything to chance. 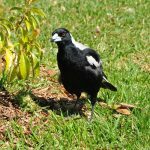 Just as the magpies will do anything to protect their young, making an informed choice when it comes to au pairs will soothe your protective instincts too. To find out more about hiring an au pair in Australia or becoming one, have a chat to the friendly team at Smartaupairs on 02 9451 3888 or visit www.smartaupairs.com.au. A couple years ago we interviewed and selected Miss Chelsey Hart to be an au pair with our small family in a country town in regional NSW. Little did we know at the time that this Minnesotan native from a small country town herself would become a close family member and life long friend. Chelsey spent seven months with us and we treasured every minute of it. After a few weeks of settling in she proved to be invaluable and really became a perfect fit for our family and the hectic schedule we live day to day. 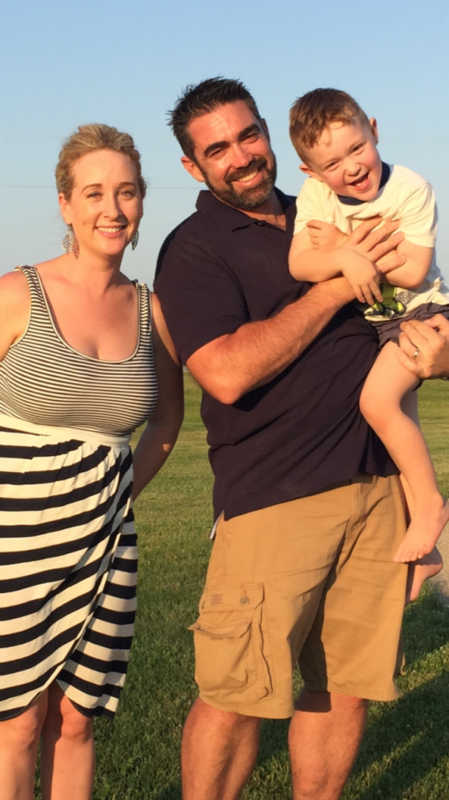 Through the highs and lows of daily family life, she was in the thick of it from day one. It was obvious that she had come from a great home with loving parents and nothing seemed too hard for her. Chelsey was mature, hard working, honest and loving and came with an unusually high amount of common sense. She was very practical and always managed to get the job done. It was just a pleasure to have her stay with us and when it came time to farewell her we all cried when she left us at Sydney airport to return home. We thank her parents, Debbie and Pete Hart, for loaningus their wonderful daughter for those seven months. Since that time, our families have grown quite close and we have enjoyed family holidays together in Europe, Australia and more recently in America where we were invited to celebrate Chelsey’s older brother’s wedding and stay with the family for a couple weeks. We could not have been more warmly welcomed by the entire Hart family. We enjoyed 4th of July celebrations, large family dinners, BBQs and water skiing and so much more. The whole Hart family treated us like their own and our bond has grown even stronger. So much so, Chelsey and her family are planning another trip out to Australia again early next year. We cannot wait to see them all again. 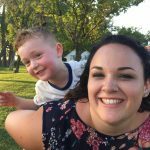 When we engaged Chelsey through Smart Au Pairs we could not have expected to have enjoyed such a wonderful and ongoing relationship with an au pair. 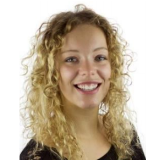 We also have a very similar relationship with another Smart Au Pair applicant, Hannah Pinnekamp from Germany. Her family visited us in Australia too and we are now lucky to have an extended family in Germany. Whilst these two girls are not our daughters, they became so close with us that how we effectively view them as extensions of our family. Not a week goes by where we don’t text or Facetime each other to catch up. We could not have asked for a better experience with both these young ladies. 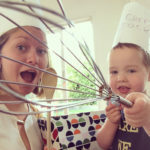 We asked for an au pair for six months and received a wonderful new family member for life! The cost of childcare is always the subject of debate and whether friends are discussing it over a coffee or politicians are campaigning on television, everyone has an opinion. The recent introduction of the new Child Care Subsidy really put the subject in the spotlight and if you have young children or are planning on starting a family, no doubt you are curious to find out more about childcare choices and how much they cost. One of the questions that crops up most frequently is whether an au pair is cheaper than childcare. It’s important to remember that what’s right for one family isn’t necessarily right for another and deciding on a childcare option really does depend on your individual circumstances and needs. These can also change over time, so it’s good to be aware of all options open to you. In order to put the discussion about the costs of childcare versus those of hiring an au pair into context, it’s a good idea to first establish your needs. What are your hourly/daily/weekly requirements for childcare? Do you need childcare at home? Do you need flexibility with regards to childcare, eg shift work? Do you require a babysitter on a regular basis? Having a clear idea of what you want will help you make good, informed choices about childcare and will help you put the costs into perspective. Some parents are lucky enough to have an affordable daycare centre close to their home or workplace. Others may not be so fortunate and may find themselves paying up to $100 per child per day. Currently, the average daily cost of childcare is estimated at around $112 before subsidies and costs will obviously increase when there is more than one child from the same family attending daycare. Pocket money for an au pair starts from around $200 per week and if you go through an au pair agency, you’ll need to factor in the agency placement fee. Other extras to consider may include a family police check, a completion bonus for your au pair and vehicle costs if your au pair will be driving your car. When it comes to babysitting, au pairs are also often willing to go the extra mile and because they live in your home, they can offer greater flexibility and a more cost-effective solution (and no taxi fares!). And talking of flexibility, an au pair means families don’t have to worry about paying late fees at daycare centres because the children are looked after at home. Erratic working hours or unexpected delays at the office don’t have to cost you extra because of the flexibility that an au pair allows. Once all the costs are tallied up, hiring an au pair is cheaper than childcare. However, in the end, it’s not all about money. Deciding on the best option for childcare depends on many factors other than finances – and it’s important to spend time exploring all your options to see which suits your individual family circumstances best. However, if you are curious to find out more about au pairs in Sydney, Melbourne, Brisbane, have a look at what Smartaupairs does. They’re a registered and highly respected au pair agency and they’ll give you an open and transparent overview of what you can expect if you hire an au pair. Find out more at www.smartaupairs.com.au or give them a call on 02 9451 3888 and chat to one of their friendly and experienced team members about hiring an au pair in Australia. Every day in Australia will be a day very different to the European lifestyle – the weather is fantastic and the Australian people easy-going and friendly – but there is so much more for au pairs to experience. Add these top experiences to your not-to-miss list during your Au Pair Australia adventure. Australians love the beach – the clear waters and clean white sand really make the Australian beaches something special. So why not make the most of the location and learn how to surf? Surfing lessons are held at many beaches throughout Australia and even if you don’t master the skill, it’s still a fun experience not to be missed. The fresh produce in Australia is amazing, so whether you love fruit, chocolate, cheese or wine, you are sure to be delighted. A food or wine tour is a great day experience, allowing you to taste all of the local delights and is also a great way to spend a day with friends or fellow au pairs (and the best part is you can enjoy responsibly without worrying about who is going to drive). Popular areas for food and wine tours include the Hunter Valley for au pairs in New South Wales, the Barossa Valley in South Australia or the Swan Valley and Margaret River region in Western Australia. If you can organise even a weekend trip to Sydney in New South Wales, you can cross off a number of popular tourist hot spots. Climb the iconic Sydney Harbour Bridge, walk up the stairs of the world famous Sydney Opera House and soak up some sun on one of Australia’s most famous beaches, Bondi Beach. Take part in an activity or tour to learn about the Aboriginal people and their vibrant culture. Discover the beauty of Aboriginal art and sample ‘bush tucker’ or traditional Aboriginal food. Ask your local visitor centre or go to the Tourism Australia website for information on available experiences near you. Many Australians go for weekend getaways and camping is an affordable, fun way to really experience the great outdoors. There are many campsites all over Australia and many have facilities such as powered sites and showers to make camping more appealing to those who do not want to rough it. The brightness of the stars in an Australian sky away from the lights of the city is truly something worth seeing. 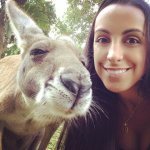 You cannot come to Australia without meeting a kangaroo! There are many amazing wildlife parks and animal farms that allow visitors to get up-close-and-personal to some of Australia’s friendliest wildlife. Australian zoos are also great to visit and will have many species of Australian wildlife to see. Australia has bred some impressive talent (think Hugh Jackman and Chris Hemsworth), so ensure you experience some of Australia’s awesome entertainment industry. Go see a musical or live show at one of the many theatres or take in an Australian movie or two. It is one of the wonders of the natural world and stretches 2300 kilometres – if you get a chance to visit the Great Barrier Reef, take it! With over 3000 individual reef systems and hundreds of tiny tropical islands, it will be an experience you will never forget. Australians love adventure so if you want to do something a bit different, the options are endless – from bungee jumping to skydiving, horse riding to jet boating, Australia has it all. Australians love their sport –and the atmosphere at a big game can be just as exciting as the game itself! AFL (Australian Football League), basketball, rugby and cricket all attract big crowds, so find out from your host family what sports are on during your stay, adopt a local team to support and enjoy the experience. Smart Au Pairs is an au pair agency in Sydney that specialises in finding and placing au pairs with host families across Australia. Many of the Smart Au Pairs team have themselves been an au pair or nanny and/or spent time living, working and studying overseas, so are able to offer support to ensure your au pair experience is fun, rewarding and memorable. For further details on becoming an au pair, register on their website or call 02 9451 3888 for more information.